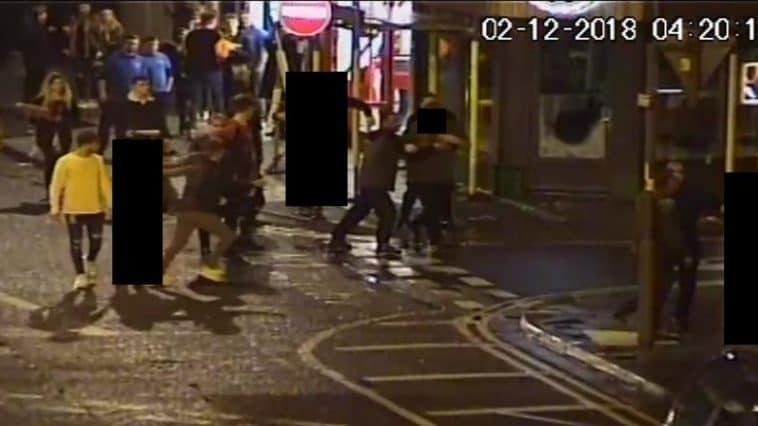 We’re releasing a CCTV image of a number of people who we believe may have witnessed two serious assaults in Weston-super-Mare. A 21-year-old man and a 17-year-old boy were attacked at 4.20am on Sunday (2 December) on Alexandra Parade. The 21-year-old sustained serious injuries which required treatment at hospital. The 17-year-old boy was treated at the scene by paramedics. A 48-year-old man and a 26-year-old woman were arrested on suspicion of GBH and have since been released under investigation. Another man, aged 46, continues to be sought in connection with the offences. Detective Constable Richard Grierson said: “We’re asking anyone who recognises themselves in the CCTV image, as well as anyone else present during the incident, to contact us to tell us what they saw.